America's Founders came to these shores from Europe to escape Persecution. Let's continue that Heritage and Preserve Our Religious Freedom ! Our family saw another movie today, "Noble" , the story of Christina Noble, her struggle in life and later when establishing The Christina Noble Children's Foundation in Ho Chi Minh City in Vietnam. This is the second movie this year that focused on Orphans. The first was "Dropbox" featuring the work of Pastor Lee Jong-rak in Seoul, korea, who installed a "Drop-Box' outside his home to serve as "Safe-Haven" for unwanted infants. That movie presented by Jim Daly and his Focus on The Family was very touching as viewers couldn't help but to be moved by the "Love and Sense of Service" exhibited by Pastor Lee. "Noble" was alittle different opening up in Ireland. Her family experienced the challenge of a drunkard father and mother that passed away while all the kids were still young. Her father couldn't take care of them and eventually the authorities took the kids and placed them in alternative living situations. Eventually Christina ended up with the Nuns in a Catholic home for Orphans, was pregnant at the age of 17 and watched as her infant child was taken away against her will for adoption. As an additional note....I was adopted at the age of 11 months and my sister at only 7. There is a great need to bring these children into our homes but what bothers me most is the high cost associated when attempting to do so. I realize there are legitimate expenses but the idea of "Purchasing Human Beings " is repugnant to me and I feel the process needs to be as "Free-As-Possible" even though tax dollars may be involved. I'm very much opposed to "The Welfare State" since it's primarily used to advance government power, but these children are helpless and need our help..
"Whoever receives one little child like this in my name receives me"
Pastors and Church Leaders: Please watch a couple of AFA Documentaries !! "One Generation Away" and "A Time To Speak"
Both feature the "Loss of Religious Liberty here in America" and need to be viewed. Please distribute this E-Mail widely and follow the directions at the American Family Association for viewing. My understanding is because of the importance of the subject material Pastors may be able to view it free of charge . The rest of us should also make arrangements to view the films. me make sure it's delivered to your Pastor? I’m sure I don’t have to tell you that religious freedom is under attack in America. You've heard or seen news stories about Christian business owners being forced to violate their beliefs, judges requiring churches to rent their buildings to ungodly organizations and children being bullied to abandon their faith at the schoolhouse doors. Our Founding Fathers built into the fabric of America a freedom of religious expression. Today, these freedoms are being threatened on every side. Your pastor's leadership is crucial to preserving the precious gift of religious liberty for the next generation. America needs pastors who are bold and who will proclaim truth, not just from the pulpit, but in the hedges and byways as well. American Family Studios has produced two powerful new documentaries illustrating the growing threats to religious liberty in the U. S., highlighting case studies and trends that may change America forever. In these films, we think your pastor will find that now is a time to speak out, to lead congregations in helping restore America’s Godly heritage in our generation...and in the next. One Generation Away is 90 minutes and contains dissenting voices which represent the ideological shift in America that church members face every day. A Time to Speak is 60 minutes and is equally informative and provocative with an additional focus on a pastor’s role to encourage voting and civil responsibilities straight from the pulpit. If you are a pastor, Click Here and watch both movies with no obligation other than to heed God’s leading for how you should respond. Share this message with your pastor by forwarding this email. More information can be found at ATimeToSpeak.com. Now Is The Time To Speak !!! "To every thing there is a season...A time to keep silence, and a time to speak." Both the American Family Association and Echolight Studios have produced some excellent movies and documentaries in the past. One that I'd like to point out is an excellent short documentary about what happens to a society when GOD is removed. I suggest you obtain a copy and take the time to watch it. Click Here to purchase the DVD: "Divorcing GOD"
Tyrannical Governments and How they Destroy People's Humanity !! An excellent video about how a society's people lose their humanity under a tyrannical government. Arch Bishop Abouna Gregori explains how a nation's people are "Deceived By Promises and Visions of a New Garden of Eden" and soon realize that is was really intended only for a select few. Citizens soon lose hope and gradually become enemies of the state as leaders of this new regime know that the "Newly Awakened Citizenry Becomes a Threat" to their power. People are soon "Controlled by Fear and the Iron Fist" and Religion and Morality, which is the Foundation of Freedom, soon loses it's importance! As love and compassion turn cold, the "People Lose Their Sense of Humanity" and it becomes possible to drive over a small child without giving it a second thought as it can be seen at the end of this video about a tragic event involving a young girl in China. Is this the future of America? "Government Power is Expanding, Centralizing and Christian Morality seems to be disapppearing in our American Society!!" "American citizens aren't being Persecuted today But it could happen tomorrow if Our Founding Documents are not Enforced !!!" Culture Continues and it isn't limited just to America..
and prophets are rising just as the Bible tells us. September 1, 2014, centers on the loss of religious liberty. 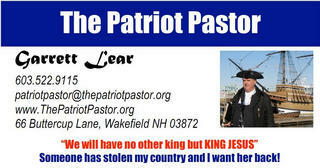 Is being marketed primarily to churches by Echolight Studios and The American Family Assoc. "Now the LORD said to Abram, "Go from your country and your kindred and your father's house to the land that I will show you. And I will make of you a great nation, and I will bless you and make your name great, so that you will be a blessing. I will bless those who bless you, and him who dishonors you I will curse, and in you all the families of the earth shall be blessed." The Israeli-Palestinian Conflict Explained The Real Apartheid in The Middle East? "Israel will exist and will continue to exist until Islam will obliterate it, just as it obliterated others before it"
(The Martyr, Imam Hassan al-Banna, of blessed memory). What groups are lined against Israel and Do We Want To Be with Them? "Stop Israel’s Ongoing War Crimes Against the People of Gaza." carried out in defiance of world public opinion"
"DSA Condemns the Israeli Bombing of Gaza and All Attacks on Innocent Civilians." " Israel must lift its siege of Gaza." occupation of Palestine now, beginning with withdrawal to the 1967 borders." 1. Amazing story, read from WND: "Hand of GOD Sent Missile Into Sea !! 2. Another Miracle in Gaza watch at YouTube: "Miracles In Gaza"
3. From Chick Publications: "GOD Still Fights For Israel"
JUNE 5, 1967, the Six-Day War began. Egypt sent 80,000 troops and 900 tanks to attack Israel. "The hour has come in which we shall destroy Israel." The hot line between Washington and Moscow was used for the first time. In a surprise move, Israeli Air Force destroyed 400 Egyptian planes, courageously drove Syria from the Golan Heights and captured all of Jerusalem. Read More Go To: William Federer's "American Minute". Another fine documentary from Dinesh D'Souza...producer of the previous movie "2016". I saw this movie a few weeks back and was expecting a fictional account of what the world would be like if America never existed. However, this isn't quite what I saw. "This is an American Appreciation Movie" ...one which defends our nation against the criticisms of the "Anti-American-Left". It gets into questions about America's mistreatment of Native and Black Americans. Also discusses whether our nation invaded and now illegally occupy parts of Mexico which constitutes much of the American Southwest. And lastly "Defends Our Economic System of Capitalism", which opposed to oppressive government systems that dominate nations even today, was the fuel that elevated our nation into dominance over the last century or two. "The Importance of Morality in Our System of Government"
Art Thompson, chief executive of the John Birch Society, discusses a topic we hold close to our hearts here at The ChristianUSA Movie Fellowship.... "The Importance of Christian Morality To a Free American Nation and Their People." He goes on to mention alittle American History, The Marxist Agenda to undermine our Nation and even briefly touches on The Forefather's Monument in Plymouth, MA. A well-organized discussion on a very important topic and it can be seen below or on The Religious Freedom Blog Page ! "My People Are Destroyed For Lack Of Knowledge" . 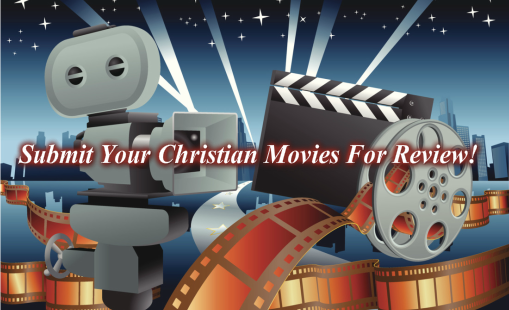 We Review Christian Movies. Click On Image Above For details ! No other king but KING JESUS!